Students must make an appointment with a counselor to fill out the required paperwork and have them sign off by March 4 in order to graduate during the spring 2016 semester. Students can go to the Counseling Center and make a sit-down appointment. The counselor will go through all of the students requirements manually to make sure they have all of the right requirements. An appointment will usually take thirty minutes, but if a student has outside transcripts then the appointment could take an hour. The student has to have complete 60 units and have a 2.0 GPA or higher and a C or better in all of their classes. For students that want to graduate without a declared major, “catch all” degrees help students get a major that can qualify for different majors later on. Rocio Mejia is a second-year student majoring in Business and said the process has been easy for her as she prepares to transfer to Colorado State. “If you actually have an idea of what to do, they (counselors) are super good with working with you,” Mejia said. The required paperwork consists of the graduation petition, the petition receipt and the curriculum planning receipt, which the counselor helps fill out with a student. The student then brings the completed packet to eServices after a counselor has signed off. 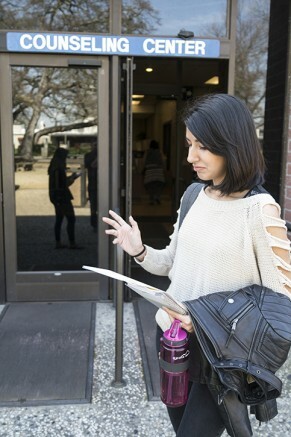 For transfer students, they need to have 12 units in residence at ARC. Students can make a same-day appointment and some counselors can take walk-ins, but it is best to call ahead of time. The Counseling Center is opened Monday to Thursday from 7:30 a.m. to 7 p.m. It is also open Friday from 7:30 a.m. to 5 p.m. If students miss the deadline for spring 2016, the deadline for summer graduation is June 4. If students don’t have all of the requirements, Thuan T. Bui a counselor at the Quick Question Counter suggested planning ahead now for future semesters. The petition process usually takes six months to be sent to the mailing address that the student gives. The petition to graduate and receive the actual degree takes about two months to show up. There is no difference for a student athlete and a regular student to petition to graduate. 1 Comment on "Deadline to petition for graduation for spring 2016 is March 4"